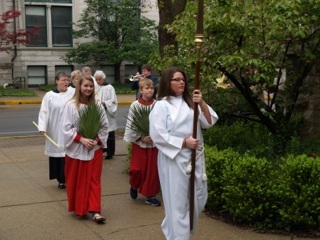 Acolytes light and extinguish the candles, carry the cross during processions, hold the Gospel book for readings, assist in receiving the gifts and preparing the table for the Eucharist, and help ensure that services run smoothly. This role is often taken by older children and teens but can be filled by adults as well. 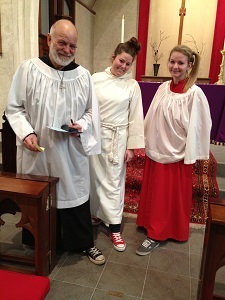 Acolytes must be fourth grade or older and mature enough to sit quietly without supervision. They can be male or female. 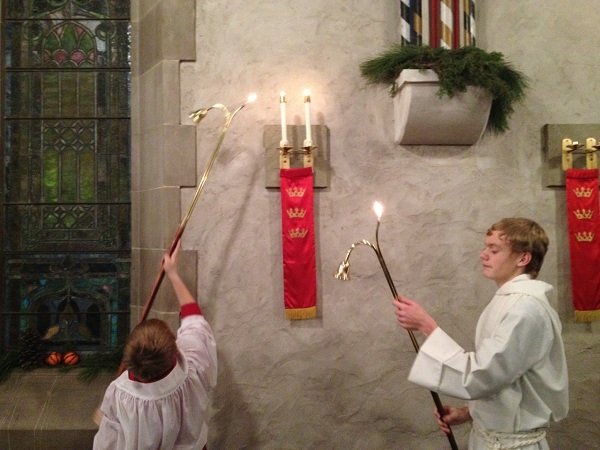 To inquire about becoming an acolyte, contact the interim rector.